During my boxing day shopping adventures I managed to score a Smashbox Studio Groupie Kit at a super great deal! Because the blush had broken I got it all for $30. Inside is the Stage One Eye Shadow Quad with Statin, Fog, Tarnish, Rosebud colors. Now I’d been loving Bare Minerals and Revlon lately so I had totally forgotten how amazing Smashbox is. This eyeshadow quad has now moved to my number one must have an easy and natural daytime look. The shadows go on easy and blend great. There isn’t too much pigment which is what you want for a natural look. What I’ve been doing is using rosebud all over from lash to brow, using fog on the lid, putting tarnish in the crease and lining with Satin. I still use a liquid liner on my upper lash line because I like dark liner – and just soften by lining with Satin over top. If you get a chance to pick up this kit (especially if it’s on sale) it’s totally worth it . And if you can grab the eyeshadow quad on its own then do it – you won’t regret it! 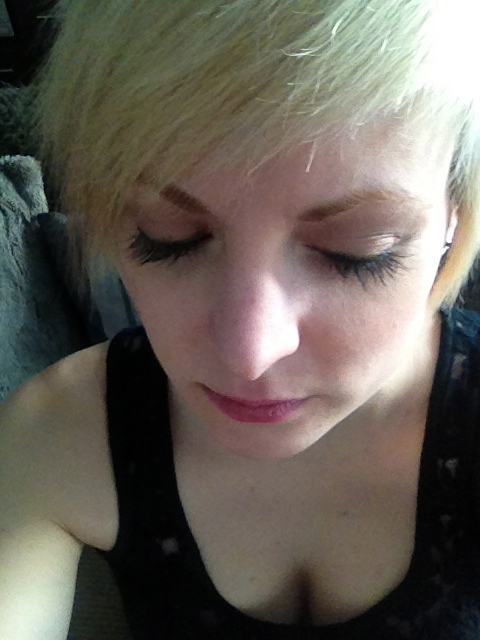 This entry was posted in Beauty and tagged beauty, eye makeup, eye shadow, make up, Smashbox by maldham. Bookmark the permalink.